Many years ago..(in fact the amount of years qualifies for a ‘Once upon a time..” beginning), my mother gave me a kumquat tree in a pot (for my 21st birthday). This little tree was lovingly tended and repotted as needed for a few years but never bore fruit. When we moved to another state I couldn’t take the tree with me so I left it at my in-laws house. My father-in-law (Henceforth known as Dad) planted it out in his yard and the little tree grew like a weed. It began to bear fruit in the second year in the ground and Dad dutifully picked the fruit and either gave it away or gave it to us when we were visiting as he didn’t like the taste of them. 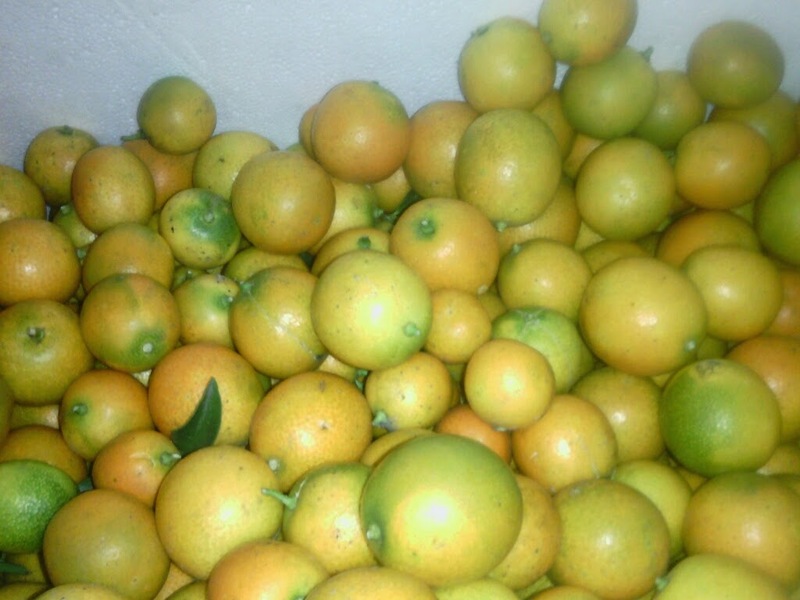 So for years I have been collecting about 15kg of Kumquats once a year and making marmalade. We are not huge jam eaters in my house, so the little pots of distilled sunlight mostly became gifts and sale items on my market stalls. 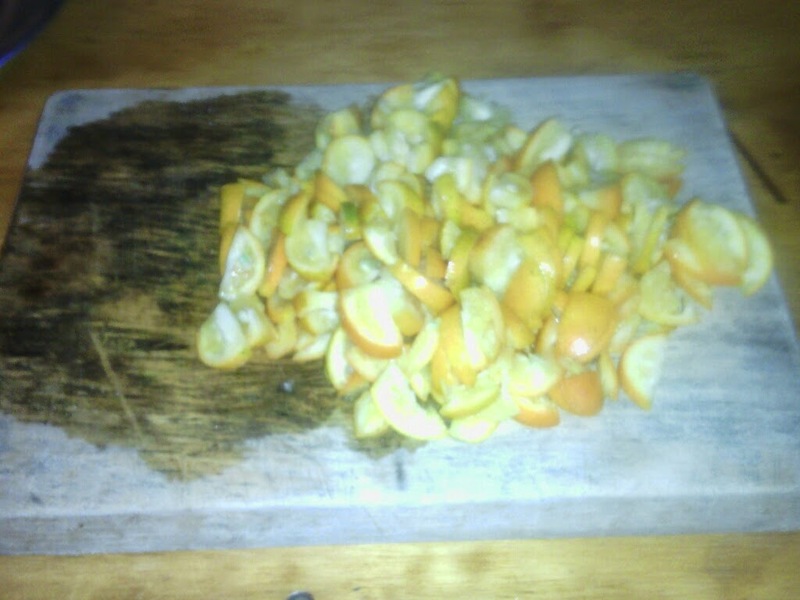 My first step is to wash and chop the fruit; I take as many seeds as I see out as I go, but alway miss a few. 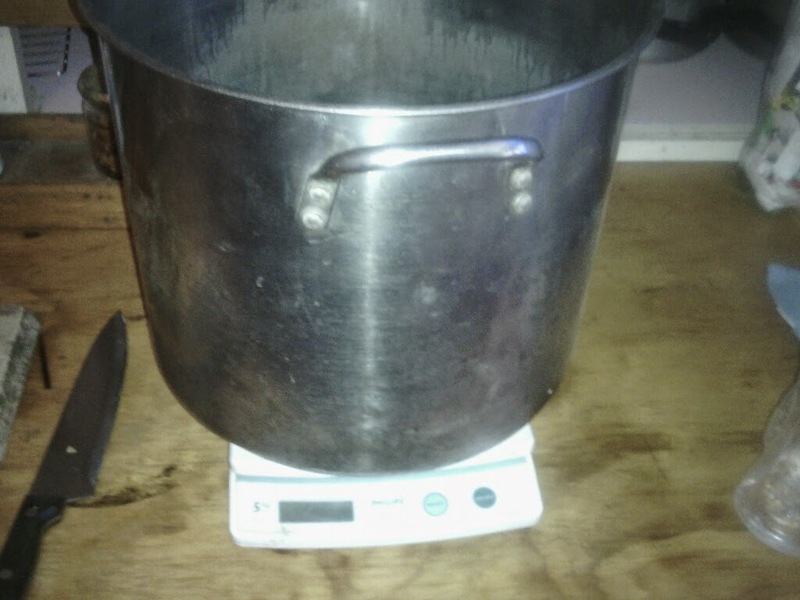 Next I weigh the fruit and add two litres of water to every two kilos of fruit. I use a stainless steel boiler to make my jam as it has high sides and a heavy bottom. 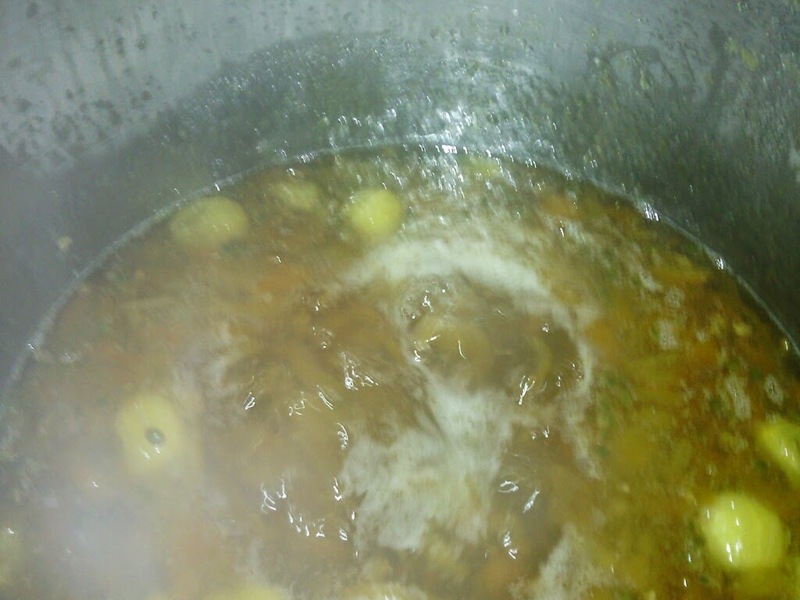 The fruit and water mixture is boiled for about 20 minutes, or until the fruit is soft. At this stage I scoop any seeds out as they rise to the top of the water. 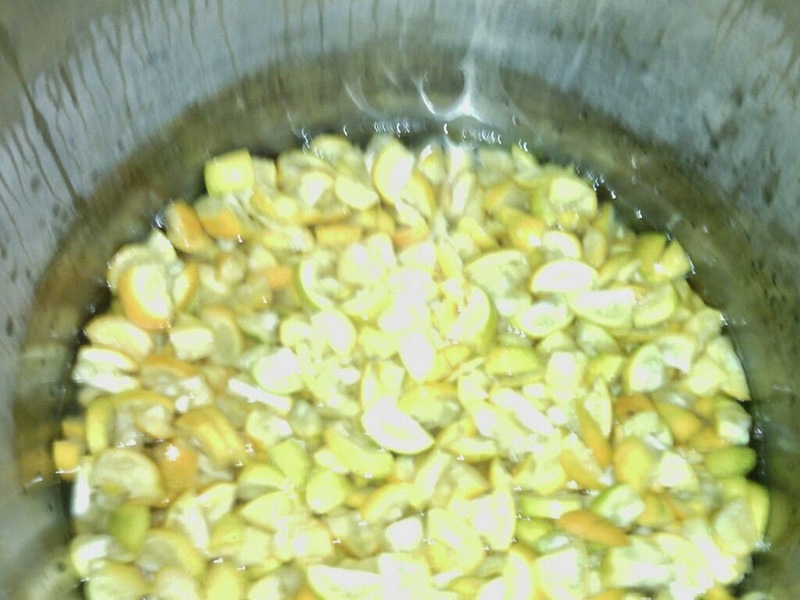 Fruit in the boiler with water. The fruit all cooked and smelling lovely. When the fruit is cooked I gradually stir in one kilo of sugar to every kilo of fruit (weighed before cooking). You have to be careful to dissolve the sugar fully at this stage, so lots of stirring is required. 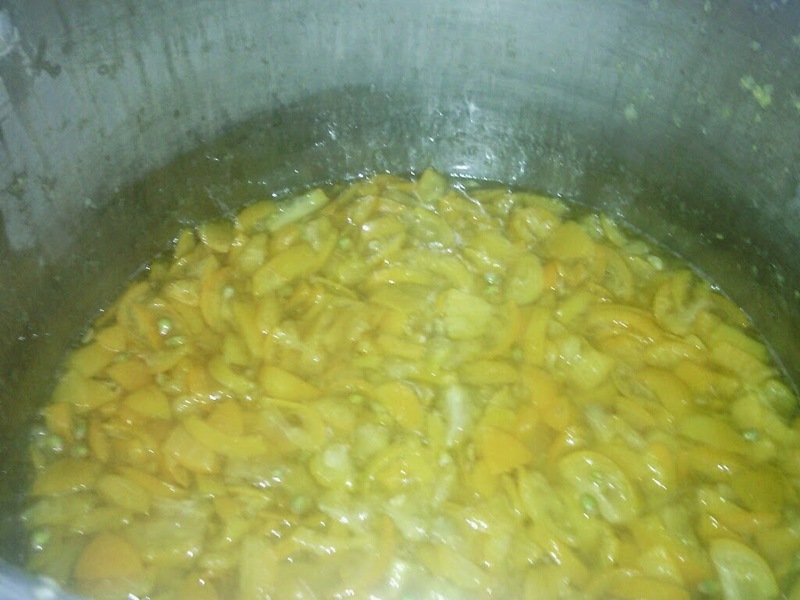 The jam needs to simmer away for a while to get it to set. The time required varies, but you can check for set by periodically dripping some jam onto a cold saucer and looking for gelling. When the jam is ready to set the drip will not run when the plate is tilted and it gets crinkles on the top when poked at. The jam should be bottled into sterilised jars (I wash the jars then ‘cook’ them in the oven for 15 minutes) while it is still hot. Use jars with metal lids and put the lids on straight away to encourage a good seal. Lots of little jars of sunlight, ready to be stored, sold or given away. 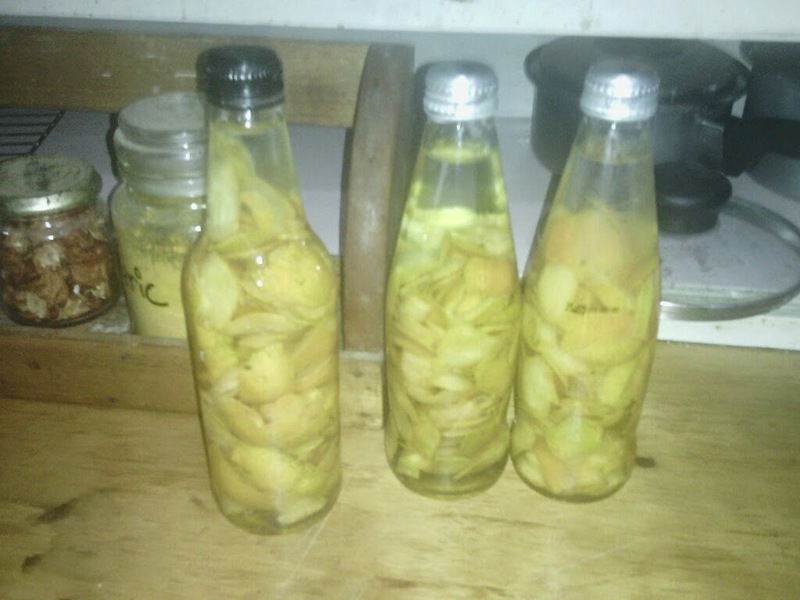 This year I also made some Kumquat liqueur by popping the chopped fruit into bottles of vodka. These bottles will be squirreled away until 2016 when they will be shared with reverence at a Yule party (or similar). Some Kumquat liqueur aging slowly. 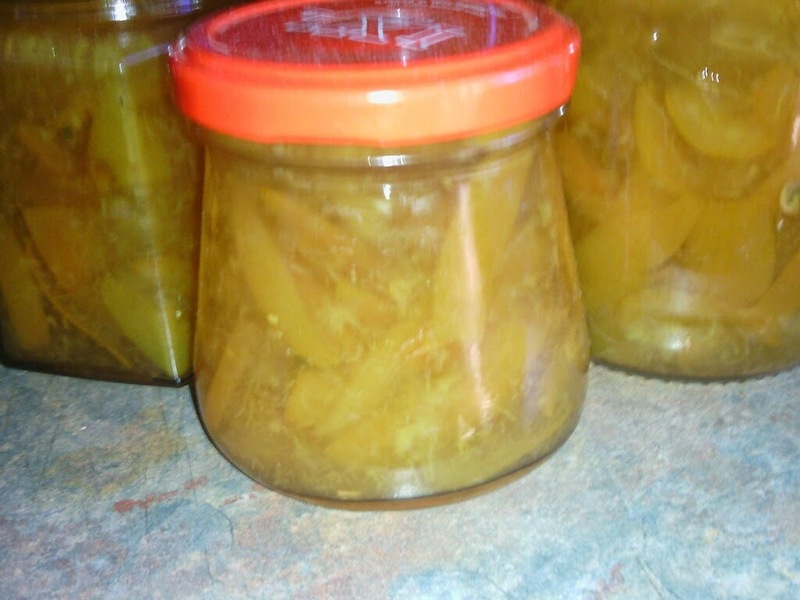 This marmalade is a little runny (which would improve if I added a lemon to the mix) but has a wonderful sweet/tart taste that goes well with toast, on roasting pork or chicken and can be used as a topping for cakes and slices. You method is just about exactly the same as mine. 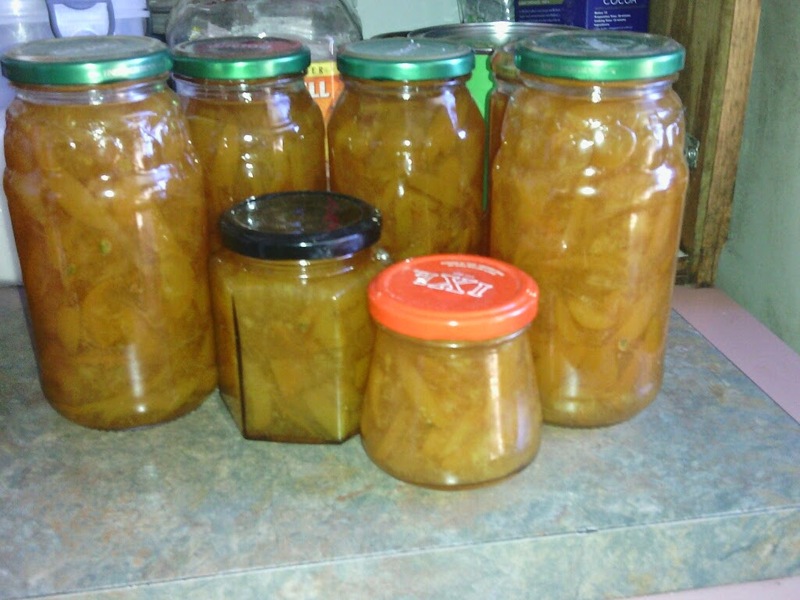 It's the only jam I make these days – the last one to hang in in the worthwhile stakes! I know what you mean, we aren't jam eaters either. I did use some kumquat jam as a glaze on some baked chicken the other night though…..very yummy. I'm thinking fruit leathers might be a better way to use excess fruit.